And while golf fans around the world have differing predictions for who will win the 2016 Ryder Cup, some of our golf professionals in Minnesota are united in their belief. Destination weddings are all the rage. Young couples race all over the world to find the perfect setting in which to take their vows for a lifetime. But all the globe trekking for the perfect locale may not be necessary. You can find a great place for your big day right here in Minnesota — at a Minnesota golf course wedding venue. 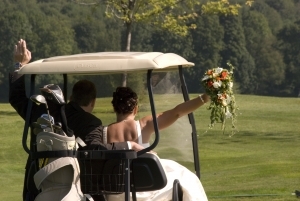 Many of the golf courses of the EMGA host weddings. The brilliant greens of the fairways appointed by beautiful trees and shimmering waters provide a great wedding setting even before the decorations are set up. And since the courses are right here in Minnesota, more of your intended guests can make the drive to attend. 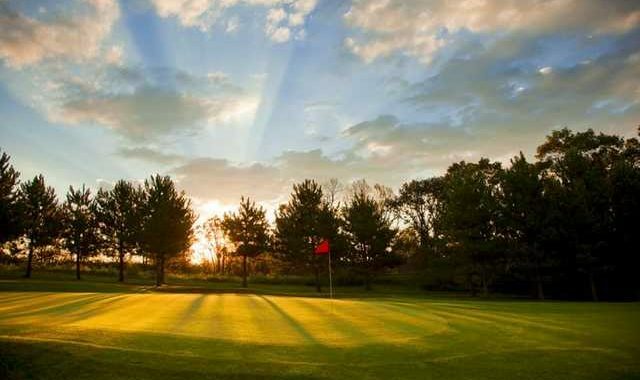 From the stunning (there is plenty of private and public golf in Duluth with fantastic views of Lake Superior) to the sublime (holes constructed amidst or surrounded by one of the state’s 10,000 water hazards), Minnesota has a lot of lakeside golf. Here are a few of the most memorable places to play on your next trip here. Giants Ridge in Biwabik — Hole No. 17 of The Legend course is likely the most famous water hole in the state. The beautiful setting on the shores of Lake Sabin is tranquil until you have to pull the trigger on a long iron across a corner of it. The setting is home to abundant wildlife and has hosted engagement dinners, photo shoots, and even weddings; and you will long remember your tee shot there — especially if it is a good one. Stonebrooke Golf Club in Shakopee — Lake O’Dowd is hard by holes 8 and 9 at Stonebrooke. The back tees of the par 3 8th require a nervy shot over the water as waverunners race by on the left. And it’s just a few steps to the tee of No. 9, where you need 180-190 yards to cross the lake and have a decent shot from the fairway to the green. Whether you make landfall or splash down, there is a short ferry ride over to the other side with some genial conversation with the ferry driver, who has cold beverages for sale on board. Gull Lake in Brainerd — You can find three big names of Minnesota golf in the Brainerd area of the Central Lakes region. 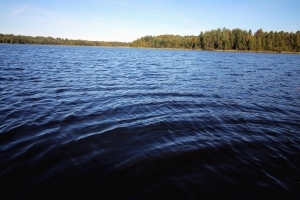 Grand View Lodge, Madden’s on Gull Lake, and Cragun’s Resort are all located on beautiful Gull Lake, and together these three resorts provide 144 holes of magnificent and gorgeous lakeside golf. 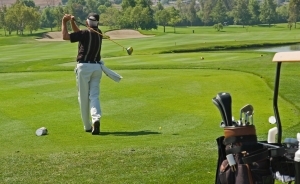 Play at any one and find a challenge for all levels of golfer in your group and countless activities and amenities that make lakeside golf the excellent excursion it is. Minnesotans love to go up north. That phrase “up north” conjures all kinds of images of relaxation, excitement, and adventure. We have great golf, beautiful deep woods and lakes, ranging from the western border to Lake Superior, and plenty of activities to help put together a memorable northern Minnesota vacation. A good portion of northern Minnesota is known as the Iron Range, because it has been the source of iron ore for steel mills to ship off in the Great Lakes to the eastern United States. The countryside still has the scars from deep pit mining of decades past and the Iron Range Research Center in Chisholm, Minn., is the place to start if you want to learn about the history of the region. The summers in Minnesota are glorious for golfers, and often gone too soon. But the falls are fantastic in the state and no time to put your clubs into hibernation. 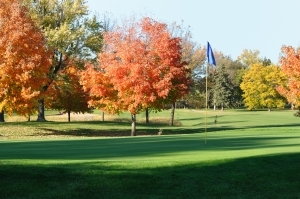 In many cases, fall is the prime time to play in the area, and you can find the best public golf courses in Minnesota wide open and waiting for you to tee it up.